Greenbelt Environmental Services offers a wide variety of roll-off and front-end containers to serve your business waste management needs. 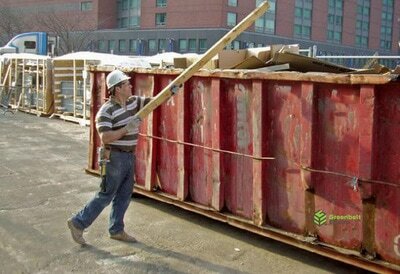 All containers can be delivered, removed, or exchanged on a daily basis, depending on volume of accumulated materials. 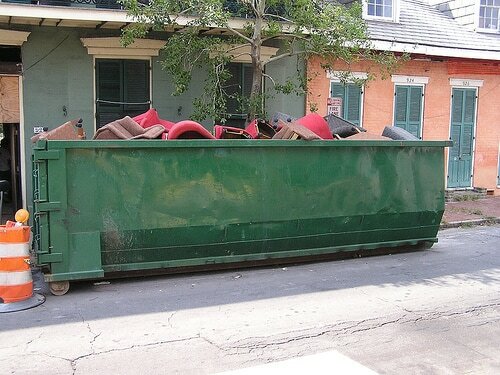 Greenbelt Environmental Services offers flexible service to allow for bin removal whenever it’s required. We handle all materials, including cardboard, plastics, glass, and aluminum, as well as mixed waste. Front-end containers are offered in 2, 4, 6 and 8 cubic yard sizes. Roll-off containers are best suited for construction sites and any industry that produces large volumes of material, including large building and demolition projects. Roll-off containers also include specialty recycling containers and compactors for organics, mixed waste, cardboard, and other materials. Roll-off containers are offered in 4, 6, 10, 14, 20, 30 and 40 cubic yard sizes.